Director Shakthi Soundar Rajan and actor Jayam Ravi have always tried to experiment within the commercial format. Two years back they made Tamil cinema’s first zombie thriller Miruthan, and now they are back with the first space thriller Tik Tik Tik. The film is a new experience and for those craving for some novelty and freshness in the plot. An asteroid is heading towards the earth, notably Chennai city, in a week’s time. The Defence Space Division (DSD) of the Indian army headed by Mahendran (Jayaprakash) is worried that it will cause “collateral damage” to four crore people residing in and around Chennai. They feel, to counter the asteroid threat, a 200 kilo missile is required. But this missile is available only in a high security secret vault in outer space. The DSD team including Mahendran , Swathi (Nivetha Pethuraj) and Raghuran (Vincent Asokan) feel that they need the help of an expert to break open the vault and steal the missile. They recruit Vasu (Jayam Ravi), a trained magician and a con escape artist who is serving jail term along with his friends Venkat (Ramesh Thilak) and Appu (Arjunan). The five member team are sent by DSD to get the missile and save Chennai from total destruction. However just prior to their launch, Vasu gets a call from a mystery man who says he has kidnapped his son Ravi ( Aarav Ravi), and demands the missile be handed over to him as ransom if he wants to see his son alive. Obviously it is an insider and somebody in DSD is playing dirty; will the team in space get the missile and save Chennai? 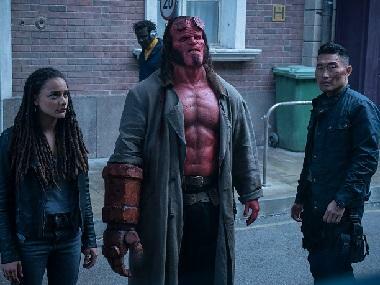 What works for the film is a new theme and genre, and decent special effects and graphics, when you consider the shoe-string budget of the film. The CG work is not great but sufficient to make it look cool and believable. The humour factor provided by Arjunan and Ramesh Thilak along with Ravi makes it enjoyable along with terrific background score by D Imman. The real life father-son combination of Jayam Ravi and Aarav Ravi on screen adds to the sentimentalilty especially in the picturisation of the hit number 'Kurumba'. There is absolutely no romance in the film, which works to its advantage. On the flipside, the film lacks a strong villain, which dilutes the impact of the climax. Another drawback is that the villain character is revealed at almost the half way point, which makes the film predictable towards the end. The censors have muted the name of the country from which the team “steals” the missile (this part lacks logic and is more about cinematic license), as we are now on “excellent terms with that country”. Go figure. 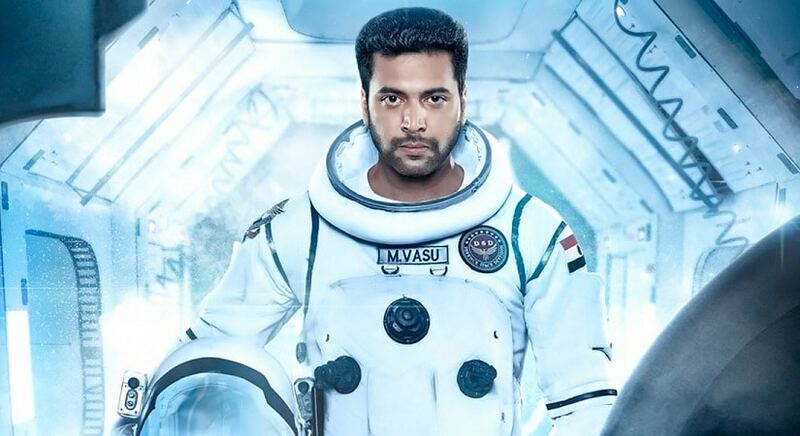 Jayam Ravi as the con-artist-turned-astronaut is fantastic and is a solid reason to watch the film. Nivetha Pethuraj as the stylish DSD officer has done a good job and the two comedians, Ramesh and Arjunan, provide enough laughs. Shakthi Soundar Rajan has made a reasonably entertaining film (131 minutes) without any lag.